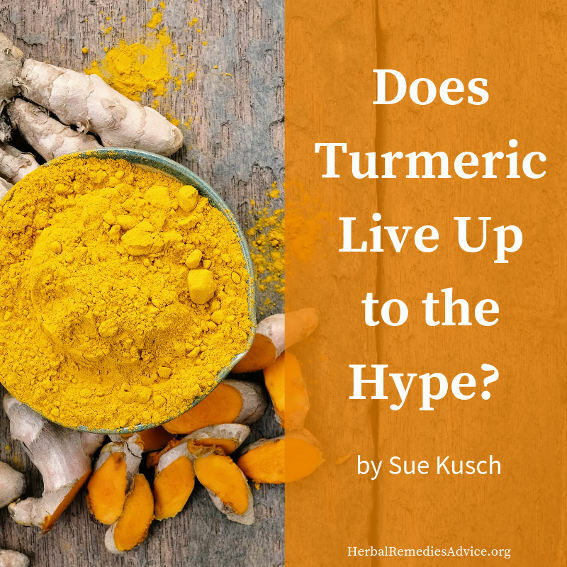 Do the benefits of turmeric live up to the media hype? Anyone who researches information for living a healthier lifestyle can be quickly overwhelmed with all of the marketing and hype of “superfoods” and “super herbs.” Many consumers aren’t aware that the supplement industry is not as strictly regulated as the drug industry. 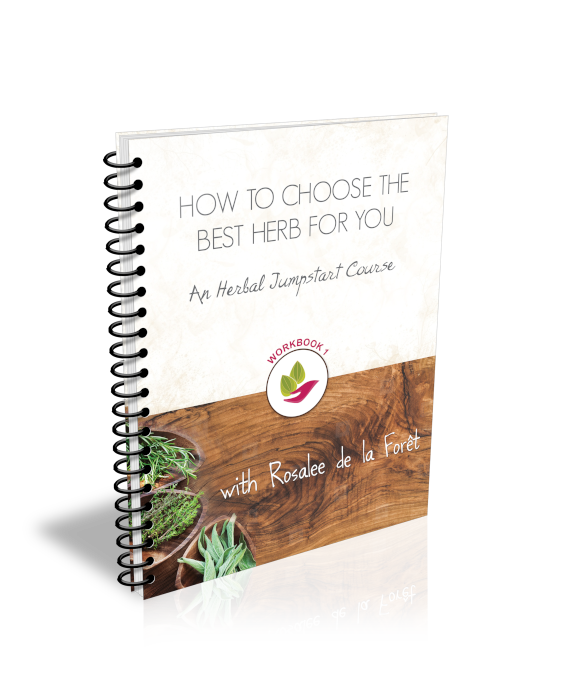 The hype usually begins with a scientific study that suggests that a particular plant, or an isolated active ingredient of the plant, has shown promise in helping with a common health complaint, or promises some benefit to improving your overall wellness. Suddenly, ads, articles and eventually a media guru features it on a television or radio show and sales of the pharmaceutical-developed supplement skyrocket. Garlic, ginseng, echinacea and St. John’s Wort are examples of four plants that at some point were heavily marketed as some kind of super herb. Consumers began taking therapeutic doses without researching the claims and possible contraindications. As a result of unprincipled marketing, we saw an assortment of problems: large doses of garlic thin blood, creating complications for surgery; wild American ginseng is now threatened by over harvest; echinacea is wrongly recommended as the cure-all for cold and flu complaints; and St. John’s Wort, often marketed for depression, affects the efficacy of certain prescribed pharmaceuticals. Does it really do all things that the supplement industry claims? Well, in the case of turmeric - yes! Turmeric (Curcuma longa) is a tropical plant that produces a potent yellow rhizome (underground stem) that has been used for thousands of years in Indian cooking and Ayurvedic medicine. Unlike its spicy cousin, ginger, turmeric’s taste is a bit bland and bitter. But, when combined with other spices in a curry recipe, it offers a delicious taste and a warming effect. Curry anything is my favorite way to enjoy turmeric! After researching turmeric I realized that I might benefit from a daily therapeutic dose of turmeric. 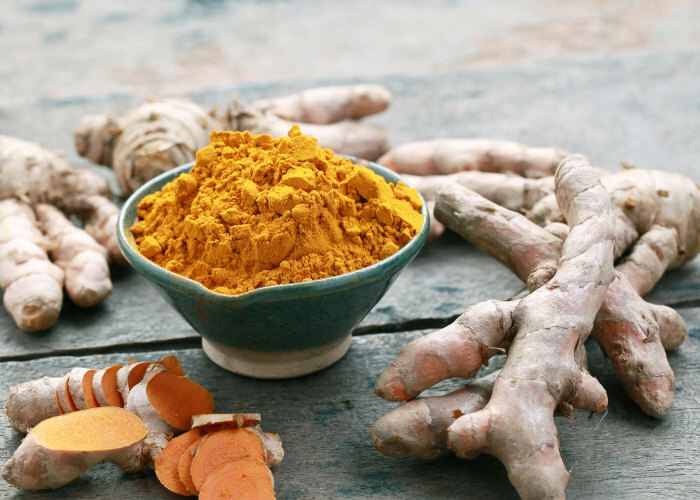 I recall someone telling me that turmeric is likely the most researched plant, and a quick search reveals that over 4000 human and animal studies have been done on the benefits of turmeric. Studies show that turmeric not only alleviates some of the pain associated with osteoarthritis, it reduces the inflammation and can help rebuild joints and support healthy tendons and ligaments, thus maintaining flexibility.10 This is the primary reason why I take five grams each day of powdered turmeric; the reduction in flexibility has been the most profound change in my aging body. The turmeric-filled capsules I take each day are also helping with lowering my LDL cholesterol and supporting my bile production from both my gallbladder and my liver.11,12 I take a few other herbs daily to support my cardiovascular and immune systems and, after reading about turmeric’s support of the liver, I added it to my daily herbal regimen. There are several ways to take turmeric on a daily basis: if you find it in your grocery store as a fresh root, it can be added to your daily meals by adding to everything you eat! I found this challenging simply because the taste is harsh. Adding powdered turmeric in capsules has been the easiest way for me: I have an inexpensive capsule machine and mix powdered turmeric with 3% of freshly ground black pepper (which assists with the bioavailability of turmeric) and fill enough capsules for 2-3 weeks. The constituent in turmeric that is considered the most medicinal is curcumin, and there are many commercial supplements available that are simply extractions of this compound. 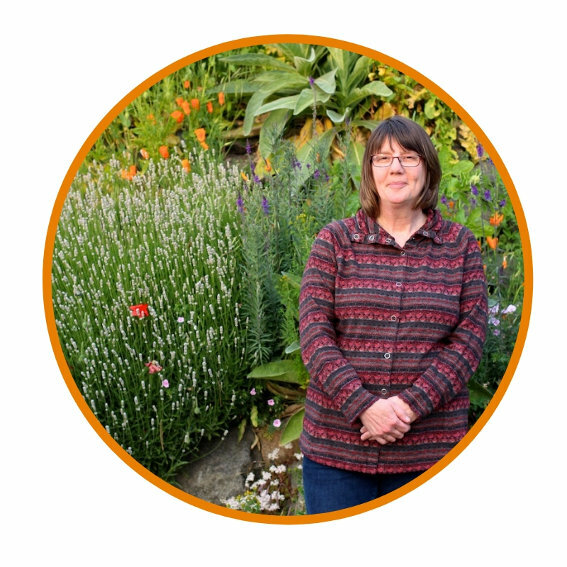 But as a plant person, I believe that the whole is better than a part - plants don’t reduce themselves to constituents - they develop as a mix of compounds that all work together. So invest in the real thing: a combination of fresh and powdered turmeric in your meals and as a supplement is an investment in your wellness. 1 Kuptniratsaikul, Vilai, et al. “Efficacy and Safety of Curcuma Domestica Extracts Compared with Ibuprofen in Patients with Knee Osteoarthritis: A Multicenter Study.” Clinical Interventions in Aging 9 (March 20, 2014): 451–58. doi:10.2147/CIA.S58535. 2 Prucksunand, C., et al. “Phase II Clinical Trial on Effect of the Long Turmeric (Curcuma Longa Linn.) on Healing of Peptic Ulcer.” Southeast Asian Journal of Tropical Medicine and Public Health 32, no. 1 (March 2001): 208–15. http://www.tm.mahidol.ac.th/seameo2001_32_1/34-2714.pdf. 3 Hanai, Hiroyuki, et al. “Curcumin Maintenance Therapy for Ulcerative Colitis: Randomized, Multicenter, Double-Blind, Placebo-Controlled Trial.” Clinical Gastroenterology and Hepatology 4, no. 12 (2006): 1502–6. doi:10.1016/j.cgh.2006.08.008. 4 Wongcharoen, Wanwarang, et al. “Effects of Curcuminoids on Frequency of Acute Myocardial Infarction after Coronary Artery Bypass Grafting.” American Journal of Cardiology 110, no. 1 (2012): 40–44. doi:10.1016/j.amjcard.2012.02.043. 5 Akazawa, Nobuhiko, et al. “Curcumin Ingestion and Exercise Training Improve Vascular Endothelial Function in Postmenopausal Women.” Nutrition Research 32, no. 10 (2012): 795–99. doi:10.1016/j.nutres.2012.09.002. 6 Lee, Meei-Shyuan, et al. “Turmeric Improves Post-Prandial Working Memory in Pre-Diabetes Independent of Insulin.” Asia Pacific Journal of Clinical Nutrition 23, no. 4 (2014): 581–91. 7 Kim, Sang-Wook, Ki-Chan Ha, Eun-Kyung Choi, Su-Young Jung, Min-Gul Kim, Dae-Young Kwon, Hye-Jung Yang, et al. “The Effectiveness of Fermented Turmeric Powder in Subjects with Elevated Alanine Transaminase Levels: A Randomised Controlled Study.” BMC Complementary and Alternative Medicine 13 (March 8, 2013): 58. doi:10.1186/1472-6882-13-58. 8 Biswas, Saibal K., et al. “Curcumin Induces Glutathione Biosynthesis and Inhibits NF-κB Activation and Interleukin-8 Release in Alveolar Epithelial Cells: Mechanism of Free Radical Scavenging Activity.” Antioxidants & Redox Signaling 7, no. 1–2 (2004): 32–41. doi:10.1089/ars.2005.7.32. 9 Hauser, Ross. “When NSAIDs Make Pain Worse—A Significant Public Health Concern.” Caring Medical Regenerative Medicine Clinics. Accessed September 26, 2015. http://www.caringmedical.com/prolotherapy-news/nsaids-chronic-pain-medications. 10 Kuptniratsaikul, Vilai, et al. “Efficacy and Safety of Curcuma Domestica Extracts in Patients with Knee Osteoarthritis.” Journal of Alternative and Complementary Medicine 15, no. 8 (2009):891–97. doi:10.1089/acm.2008.0186. 11 Hu, Robert W., Elizabeth J. Carey, Keith D. Lindor, and James H. Tabibian. “Curcumin in Hepatobiliary Disease: Pharmacotherapeutic Properties and Emerging Potential Clinical Applications.” Annals of Hepatology 16, no. 6 (December 2017): 835–41. doi:10.5604/01.3001.0010.5273. 12 Rahmani, Sepideh, Sedigheh Asgary, Gholamreza Askari, Mahtab Keshvari, Mahdi Hatamipour, Awat Feizi, and Amirhossein Sahebkar. “Treatment of Non-Alcoholic Fatty Liver Disease with Curcumin: A Randomized Placebo-Controlled Trial.” Phytotherapy Research: PTR 30, no. 9 (September 2016): 1540–48. doi:10.1002/ptr.5659.